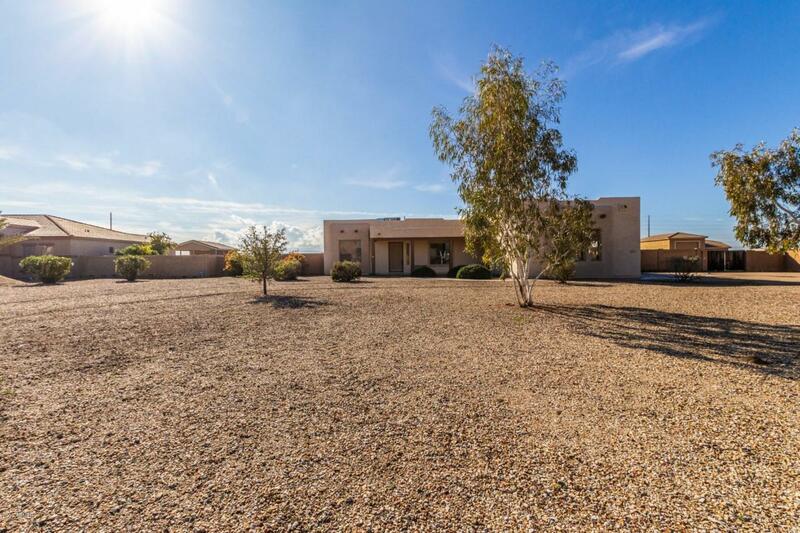 Gorgeous 4 bedroom, single story southwestern style home on over an acre of property available in tranquil Whitman AZ. Immaculate interior features a spacious, open floorplan with a formal entryway, pristine, artistically tiled flooring and a large windows allowing for expansive mountain views and abundance of natural light. Sizable kitchen enjoys a breakfast bar and plenty of attractive wood cabinetry. Majestic master retreat boasts a private patio exit and a spa-like ensuite with double sinks and separate soaking tub and shower. From the sprawling backyard, you will love basking in the serenity of wide open spaces while soaking up the breathtaking mountain views. Freshly painted inside and out, all tile flooring plus laminate wood. Come see this beauty today! Cross Street Grand Ave. & Patton Rd.